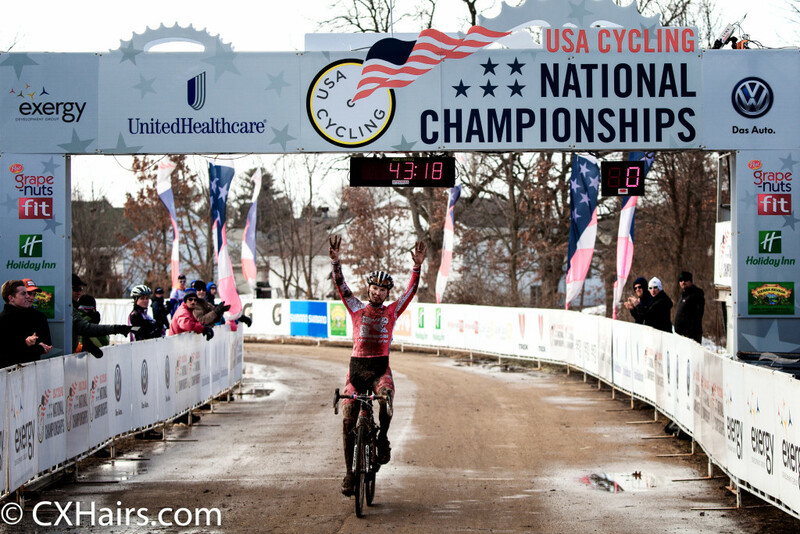 The Young Guns Of U.S. Cyclocross: Where Are They Now? After great finishes in Austin earlier this year in January, where are these young guns of US Cyclocross this season? What have they been up to and where are they headed? Here’s what we found after digging around and catching up with a few of them. After taking first place in Austin (his tenth consecutive national championship in cyclocross), Owen rode that wave all the way over to Tabor and posted an excellent 15th place result as the top US finisher in the U23 field at Worlds. Earlier this spring, he took to the road on the newly re-branded Axeon Cycling Team (formerly Bissell Development) for a full season packed with domestic and international road racing. Some of those road experiences, in spite of the volume, have inspired him for cyclocross season. “The stage win at the Tour of Utah gave me more motivation”, said Owen when asked about how he felt about this year’s transition from road to ‘cross, going as far as to say that he, “feels refreshed” by his experiences. Whatever the feeling may be, it appears to be working for him – and then some. Owen is quickly riding his way to the top of the Elite domestic pack. A few weeks ago, Owen posted a big 4th place finish in the Men’s Elite field at Kings CX (day one of the Cincy CX weekend) in Mason, Ohio. On Sunday in the Men’s Elite field at the Pan American Championship event (day two of the Cincy CX weekend), Owen had an excellent start, grabbing the holeshot at the first turn. Unfortunately, bad luck with a mechanical issue on the first lap forced him to limp to the pit and taking him out of contention early. He would ultimately finish 28th out of 49 racers, Despite a Sunday result with which he was clearly disappointed, he’s clearly off to a great start. More recently, he continued to prove that at the Derby City Cup in Louisville, where he notched a solid solo third place finish just behind Stephen Hyde and Jeremy Powers on day one, and again at the Subaru Cyclo Cup (C2 event) with back-to-back wins against the likes of Jonathan Page, Jamey Driscoll, and Ben Berden, among others. When asked about the specifics of his schedule, Owen confirmed that he would focus on Elite races domestically and Elite Nationals, and would then turn his focus to U23 racing abroad. Judging from the smoking hot start, one can only imagine that big international results are on the horizon for Logan Owen this year. Eckmann put away the 33mm knobbies after CX nationals and focused on a year of road racing abroad in Europe with the Roth-Skoda squad. After a full slate this spring and summer with a mixture of one-day and stage racing under his belt, he’s just now gearing up for ‘cross season having started in October with a few races near his current hometown of Boulder, and more recently throwing down with the rest of the US-based cyclocross world at Cincy CX and the Derby City Cup. At Kings CX, Eckmann finished 19th in the Men’s Elite race, and on Sunday in the Pan American Championship event he finished on the lead lap of the Men’s Elite race in 23rd. When asked about his goals and plans for cyclocross this year, Eckmann – now riding for the Maxxis Shimano squad – said he will focus on domestic racing. After the Derby City Cup weekend, he plans to take a block of time to “..focus on getting the real cross fitness up…and go into December and January for Nationals with good form.” As for European racing this year, he did not close the door on the possibility, but indicated that next year there would be a greater probability for that to be part of his schedule. Since grabbing on the last step of the podium at Nationals this past January, few riders are hotter than Curtis White in the domestic CX scene. As with Owen, White schlepped to Tabor after Austin in January, riding his way to 19th place in the World Championship U23 race. After a few road races (Battenkill, Joe Martin Stage Race) with the Optum p/b Kelly Benefit Strategies this year, White has turned his focus to cyclocross early this season. Off to a blazing start, White has already amassed serious elite C1 points beginning with Ellison Park (11th), again on day one of the Providence weekend with a huge 3rd place result, at Kings CX (6th), and more recently at the Derby City Cup Saturday event (5th). 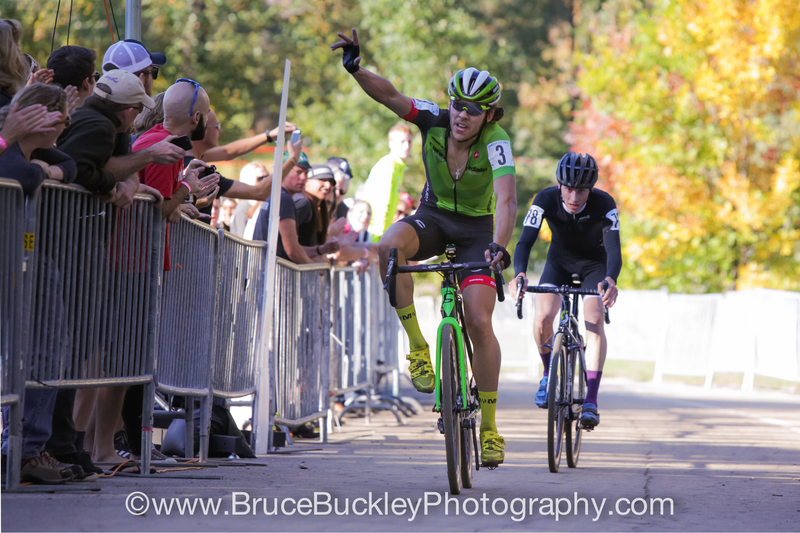 Add to that a slew of dominant C2 performances beginning with Gloucester (two 2nd place finishes behind Jeremy Powers), at Providence day two (2nd), and back to back victories at the Charm City weekend in Baltimore, White appears poised to smash his way to even better results at Nationals and beyond in 2016. Specifically, when asked about his goals for the year, White said that, “winning Nationals has been something that’s always eluded me, so that is certainly a goal. From then, all focus is towards the World Championships in Zolder.” He also confirmed that he intends to keep his domestic focus on Elite racing, and his international focus on U23 competition. Before finishing fourth in the U23 race in Austin in January, Dillman also snagged the Division 1 Collegiate National Championship earlier that week (beating out another young star in the making, Maxx Chance). 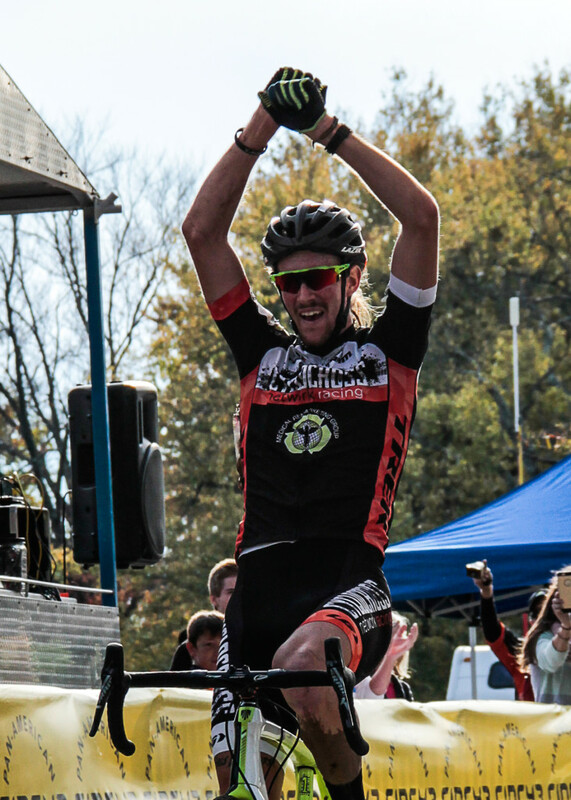 Later that spring he continued with Collegiate Road and MTB racing for Marian University, which he feathered into the CX season starting with Ellison Park in September, finishing 8th among the Elite Men in the C1 Saturday event, and 3rd theSunday C2 event. More recently, Dillman has garnered buzz with his scintillating ride at the Pan Am Championships in the U23 race. There, he rode his way to the championship by almost a full minute over fellow rising star Curtis White. After gathering up the U23 stars and stripes last January, Noble has kept her competitive cycling at a minimum until the start of this cyclocross season. With only a few MTB and road races in between, she appears to have jumped head long into a busy slate of domestic, elite UCI-focused racing. After several tune-ups at Ellison Park (C1 – 14th) and Nittany (C2 – 4th), Noble came out swinging at CrossVegas against the best in the world posting a solid 19th place finish in the Women’s Elite event. Other highlights in a busy season so far include a podium in Gloucester (2nd on day 1), and a string of top 10’s in Providence and at the Trek CXC Cup. More recently, Noble donned her U23 stars and stripes skinsuit at the Pan Am Continental Championships on day 2 at Cincy CX, taking home the win in that U23 championship event. By not participating at Kings CX, and apparently focusing attention on the Pan Am Championship, Noble appears to be focused on representing her country (and her continent) at the new Women’s U23 World Championship event added this year by the UCI. Her “off-season” preparation included several World Cup MTB experiences at Mont St. Anne and Windham, as well as MTB nationals at Mammoth Lakes, CA in July. Perhaps as a harbinger of things to come, Finchamp started her cyclocross season off with a solid weekend of racing at Cincy CX. In the Saturday event, she lined up against a stacked field in the Women’s Elite race to finish 29th, and followed up the next day with a great ride to snag third place in the U23 Women’s field in the Pan Am Championship race. Shield’s bronze medal ride at the 2015 U23 National Championships in Austin actually capped off a banner week for the young North Carolinian. Just days before that, she took home the stars and stripes skinsuit in the collegiate championship race for her Lees-McRae team. 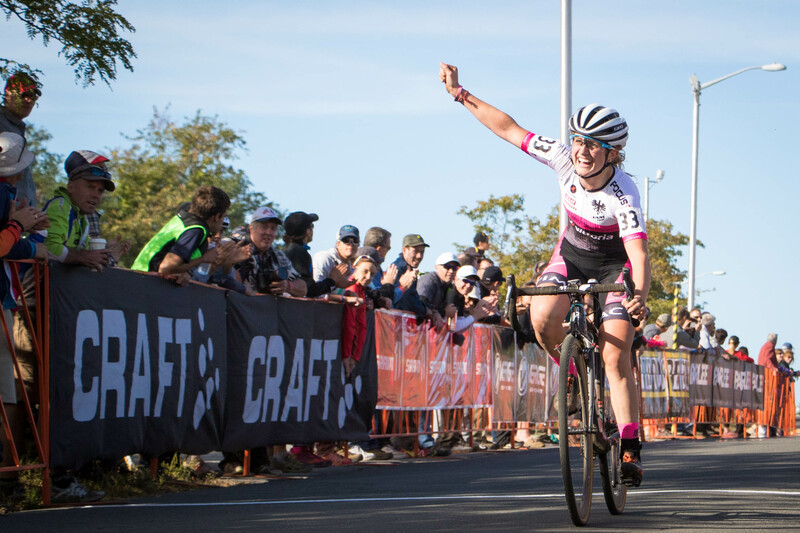 This past summer, she turned to several US Cup and Nationals events for the Stan’s NoTubes Elite Women’s MTB squad, and recently she began her 2015/16 ‘cross campaign by stretching her legs at Cincy CX with the rest of her Austin podium-mates. At both days of Cincy CX, Shields stuck to the Women’s Elite races finishing 52nd on Saturday, and in the middle of the pack in 30th in Sunday’s Championship event. With those two events as the first of the season, one can only presume that a late-season peak for Asheville is in the cards for Shields again this year. It’s clear that the cyclocross pipeline is stacked with motivated and talented young riders, and that’s without even scratching the surface of the younger ranks (see Gage Hecht, Emma White, et al). One can only hope that, given the clear willingness and desire of the UCI to further internationalize cyclocross, that more and more top level events will be hosted in the US, and that these riders will be given more frequent opportunities to compete and thrive with the world’s best. I think you missed a big opportunity in this article. Ms. Emma White. I know your focus was on U23 and not Juniors but Emma is pretty amazing and races neck-n-neck with Ellen while regularly bettering the other two women highlighted. You should have at least given her the fourth “honorable mention” that Mr. Dillman got. Emma is the second fastest young woman on a road bike in the world, taking the double silver in the UCI World Championship Road Race and UCI World Championship Time Trial – she was bettered by her team mate Cloe. Virtually every year that Emma has race in the CX Nationals she has won her age group (in Austin she won by over two minutes!). This year she is concentrating on C1 events and consistently placing in the top 5 and already winning three UCI level events. Of course if you mention Emma you might need to list team mate Gage Hecht… Anyway, its a good article and fantastic to see the youngsters racing strong and getting press. Yep, lots of young guns out there having great seasons. Tobin is doing awesome! This is not a definitive list. Sorry I didn’t check in for comments until now. Just to be clear, as Bill already mentioned, this was meant to be a look at where the 2015 U23 Natz podium finishers were so far this season, not a ranking or list of young racers in general. All of the aforementioned racers in the comments here are certainly worthy of attention in their own right. Thanks for reading!